He has a degree from the Royal Institute of Technology in Stockholm. In addition he spent a few years at Ericsson as a M2M Innovator, launching a global IoT platform and as Global Product Manager at skyrocketing wireless tech company CyanConnode. WSIs’ IoT Business Architect, Tobias Söderlund shares some insights on avoiding mistakes in IoT concept development. It’s time to define your IoT offering or product, you have done your homework, listened to your customers, tested the business model and the value proposition seems to hold. You start writing that requirement specification and accompanying design documents. The first version is released and short after you released, “if we only had done that…”. Customer meta-data. For example: Today you don’t have a direct relationship with your customers, you want to, but the timing is not right. Data to support R&D activities. Future business models or strategical pivots. If you are lucky, these “extra features” could be an over-the-air update, but in certain situations it can be difficult and especially if it involves hardware changes or new processes for field and installation personnel. Of course, this doesn’t mean that the solution should contain all these features developed in the concept development phase. But when defining your Minimal Viable Product, maybe your first commercial release, you at least have done conscious decisions and minimized the risk of ending up wrong. Artificial Intelligence is not for me – right? He has a degree from the Royal Institute of Technology in Stockholm. In addition he has a long career as a HW architect, with over 13 years at Sony Ericsson Mobile Communications. Håkan Ohlgren, CTO and Chief architect shares some insights in the power of AI. These days everyone is talking about AI, AI on the Edge and Deep Learning. Media is painting a scary picture of the future to come and probably – at least a part of you – agree that the unknown feels a bit scary – right? Personally, I can sometimes get afraid as I get an insight in the power of AI. But then my curiosity takes over and I start seeing the possibilities all around me. The thing is that AI is not just about a super computer network gathering and processing tremendous amount of data with the ability to “control” the population – as media sometimes declares. It is also about optimizing the power consumption in a sensor network, based on user behavior. It is also about reducing component cost in a device. It is also about reducing the overall power consumption in a city, as the system learns the behavior of the population. Yes – AI can be used in autonomous driving vehicles, and it can also help gathering data from a mine or underground/water cave, using a self-flying drone. What if data from your sensor system that is intended to monitor a specific machine, can also be used to predict an earthquake? What is deep learning use for? Deep learning can be used to process the data of a huge number of sources in order to learn typical patterns, identify normal behavior etc. It can then identify abnormal behavior and scenarios and warn for a possibly hazardous situation or just prevent a machine from getting damaged or worse – a person from getting hurt. The more data available, the better the predictions. But AI is not only about Deep Learning. Let’s look at a small device with limited battery capacity. It connects to the cloud through cellular connectivity. The connectivity consumes quite much energy and each time data is exchanged, the battery longevity is significantly reduced. In this example, the data exchanged is used to authorize the user and to give the cloud sensor data in order for it to track the device and act upon its position or unintended usage. Now what if the device itself could manage the authorization and understand by whom and how the device is used. By implementing an Edge AI engine in the device, it can learn the normal behavior of one or several users. Rather than using various expensive Bio-metric sensors, the AI engine can learn about the user by monitoring time of day, motion and tremor patterns using inexpensive MEMS sensors. Based on the “normal behavior” model, any significant deviations can trigger a connection to the cloud and/or deactivation of the device. This short example is a typical application where Edge AI can be used to reduce cost and to improve the battery longevity of a device. Of course, a complex AI engine consumes memory and processing power and thus the cost might increase. But depending on the application, the algorithm might not have to be that complicated. At WSI we meet a wide variety of customers with an even wider range of products. And we see a clear trend of connecting more devices to the cloud (IoT). We also see an increased interest in AI where customers are curious about what AI could do for them. At WSI we can help you to systemize, develop and manufacture your product. And with our extensive partner network, we can find a suitable AI partner that would boost your application if we find that AI is applicable for you. As an official design partner for NVIDIA, we have access to the leading companies working with Deep Learning using the NVIDIA CUDA GPU processing platform, which is used in products ranging from self-flying drones, Autonomous vehicles to the server implementations used by the big Cloud vendors offering AI services. But we also have partners working with Edge AI algorithms in small and low cost embedded systems. So let’s ask yourself again – Artificial Intelligence is not for me – right? Well I think that it might well be! Insights from Tobias Söderlund, IoT Business Architect. Tobias shares some examples how IoT gives you the possibility to increase internal effectiveness which often has a significant impact on the overall business case. IoT enables unparalleled opportunities to create a long-lasting relationship with your customers and tailor your offering over time. New ways of monetization are enabled through outcome based pricing models, where you deliver what the customer really wants instead of a product. This could be climate comfort or one of the oldest examples, the Rolls Royce ‘Power by the Hour®’ where customers pay a fee for the amount of flying time for an engine. In the innovation process the customer is in focus; however, by experience I find that many miss the opportunity to treat your internal organization as different customer segments (e.g. Supply, R&D and Marketing). Instead, these insights from within the company often come after deployment and impact the cost structure rather than the revenue stream, increases the product quality or optimizes the asset utilization. Sure, many launch IoT solutions solely to improve productivity, reducing cost or automate processes, but the scope is then often too narrow and do not take into consideration other corporate functions. Decrease warehouse needs and deliver consumables and spare parts just in time. Asset tracking in the logistic flow. Transport environment sensing (temperature, humidity, physical stress). Real-time and predictive data to enhance product development. Data to measure and feedback production quality. Develop what matters for customers. Targeted sales activities based on customer usage and meta data. Comprehensive data gathering from campaigns. Real-time and predictive issue handling. Over the air updates to remedy issues. Some of these internal improvements can of course be captured by looking solely at customer needs, but seeing the corporate functions as potential customers increases the chances of finding highly valuable process improvements which not only improves the business case but also help increase awareness and alignment in the organization when entering into the IoT space. The partnership has emerged from a number of projects where the parties have collaborated regarding a variety of customers. “Our commitment is to work with our partners to simplify and offer IoT’s benefits to all companies. In previous collaborations, it became clear that we complement each other in a great way, and this partnership enables both companies to add value to our customers,” says Rami Avidan, CEO of Tele2 IoT. Elmia Subcontractor – where IoT manufacturers go (to get ahead of the competition). Priding ourselves being a close partner to both large and small IoT manufacturers, we decided it would be worth our while to exhibit at Elmia Subcontractor Exhibition next week. Together with our sister companies in the Allgon Group and our exhibition co-sponsor Telít we have a virtual smorgasbord of connected solutions and products on display. 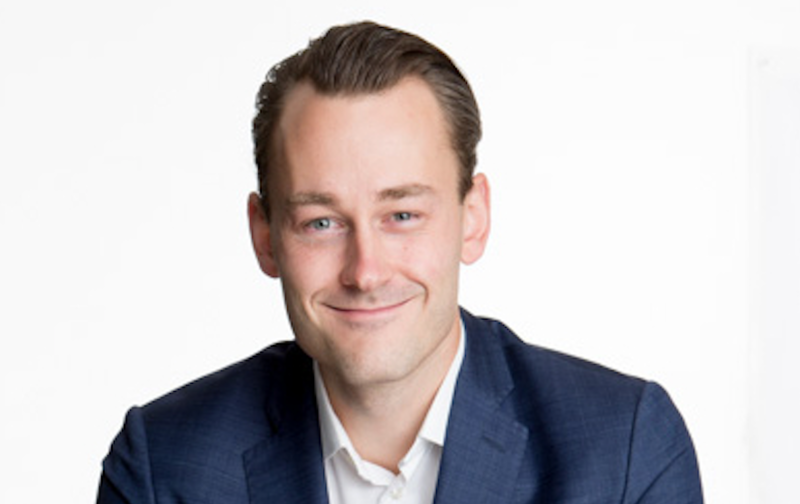 Tobias Söderlund, our newly recruited business wizard is spear-heading our brand new IoT Business Unit. He has some really smart tools to guide you all the way from idea to product/offering. Be on the look-out for him at Elmia Subcontractor. He is eager to share his best practices, experience and a coffee or maybe a dinner with you. Get in touch with him! Check out the teaser about the different work flows and work bundles on our website. We are happy to hear your feedback – and we hope it will inspire you to get in touch. Jan-Åke says he is always on call, so why not hold him to it? See you November 14 – 17 @Elmia Subcontractor – looking forward! Read more in our Newsletter!